In stock. Order in the next 7 hours, 35 minutes and it will go out today! 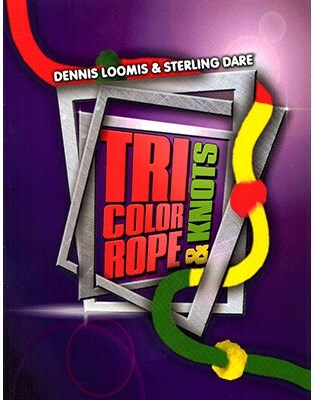 Imagine displaying a bright and solid, tri-colored rope (Red, Yellow and Green) to your audience. Then, as you slowly pass your hand down the rope, a knot magically appears in each of the colored sections! The colored knots do not match the colored sections of the rope in which they appear (red knot in yellow section, etc.). You again pass your hand down the rope and to the amazement of your audience the colors of the knots match each section of the colored rope! Lastly, you untie the knots and hand the rope out for complete examination! BONUS! Additionally, you will receive a fun filled Traffic Light routine with a fantastic children's safety message. This routine is great for getting booked into schools. Teachers and staff love it just as much as the students! Comes complete with tri-colored rope and 12-page instruction booklet.